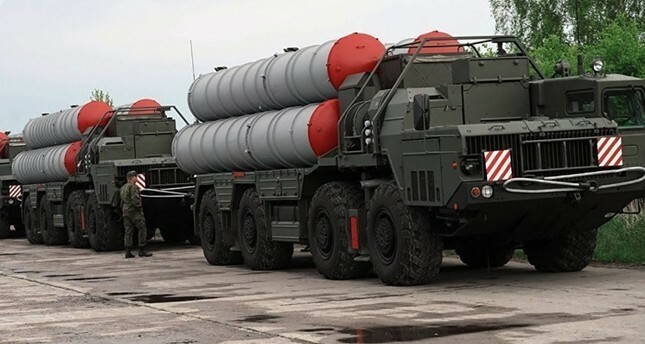 Ankara and Moscow signed a $2.5 billion deal for S-400 missile defense systems and the first battery is scheduled for delivery to Turkey in this July. A U.S. official, speaking on the condition of anonymity, suggested on Friday that a Turkish purchase of Russian missile defense systems could present an opportunity for U.S. forces. "It may certainly be a unique opportunity," the official added. Turkey's purchase of the Russian surface-to-air S-400 system has led to significantly strained ties with Washington, which earlier this week suspended delivery of parts and services necessary to Turkey's receipt of the F-35 stealth fighter jet. In response to U.S. concerns, Çavuşoğlu said Wednesday the system would be for Turkey's use. "It doesn't have to be integrated into the NATO system, and this is not our aim. It is for our own use," he said. "This system will not see any NATO system, including F-35s, as an enemy." The Pentagon said Wednesday it transferred the third of Turkey's F-35 jets to Luke Air Force Base in Arizona, with a fourth to be delivered Friday. Turkish pilots are currently training on the advanced fifth-generation fighter jet at the base, and the Pentagon said their training will continue despite the suspension of parts and services announced on Monday. Turkey joined the F-35 Joint Strike Fighter Program in 2002 and has invested more than $1.25 billion. It also manufactures various aircraft parts for all F-35 variants and customers.